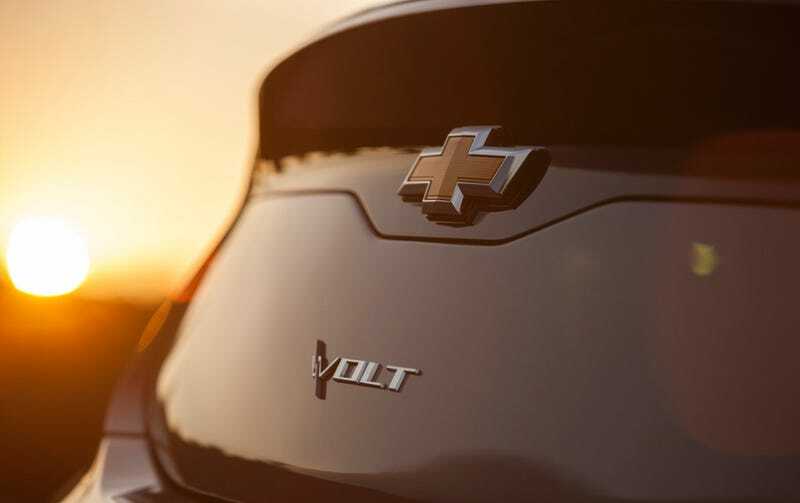 A New Chevrolet Volt Is Coming, What Do We Know About It? I think it's fair to say we haven't heard much from the Chevrolet Volt in a while. These days, its upmarket version the Cadillac ELR has driven much of the conversation, and not always for the right reasons. But General Motors announced a new Volt will debut at next year's Detroit Auto Show. What's it's deal? We do know GM is working on another pure EV, but this isn't it. Probably not, anyway, unless an all-electric Volt is coming. GM&apos;s Tesla-Fighting &apos;Moon Shot&apos; Is A 200-Mile… Sonic? Back to what we know about the next-gen Volt. In 2013, then-GM CEO Dan Akerson said the car would be $7,000 to $10,000 cheaper than the current one. He also said he wanted 200-mile range electric vehicles, which if applied to the Volt would mean a huge, huge boost over the outgoing model's 38 miles. According to supplier sources, there may also be a second, cheaper version of the Volt in the cards with a smaller battery pack and less range. And based on the spy shots we've seen, the next Volt should sport a sleeker, less compromised design than the current one. Odds are, as with most modern GM cars lately, the next Volt will be vastly better than the one it replaces, which was by no means a bad car at all — just kind of an expensive and awkward-looking one. I think that if they do it right, they have the chance to expand the Volt into a whole family of vehicles and take the fight to the Prius in a way they haven't been able to before. We'll find out come January.